Welcome to Newport Villas, an upscale mid-island community, strategically located on a small peninsula on Broad Creek and convenient to all Hilton Head Island has to offer. A hidden gem, this community of 66 two and three bedroom flat and two story condo homes sports a relaxing Mediterranean look and feel, complete with luscious landscaping and walled courtyard entries around each building. 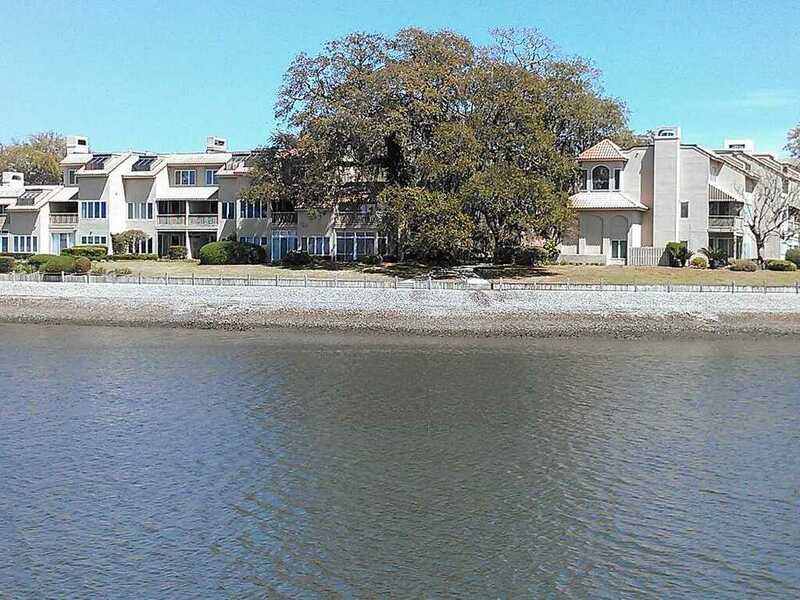 Plus the best opportunity on the island for spectacular Broad Creek views and sunsets from the waterside pool, hot tub and gathering pavilion. In addition to the on property tennis court, pool and hot tub, Newport residents have an on-property tennis court and full access to all Palmetto Dunes amenities, including beaches, tennis and golf. Even better - Newport is within walking distance of entertainment, fine dining and retail shops in Shelter Cove Harbour and the new Shelter Cove Towne Centre - providing convenient access to hours of entertainment and enjoyment for residents and guests.